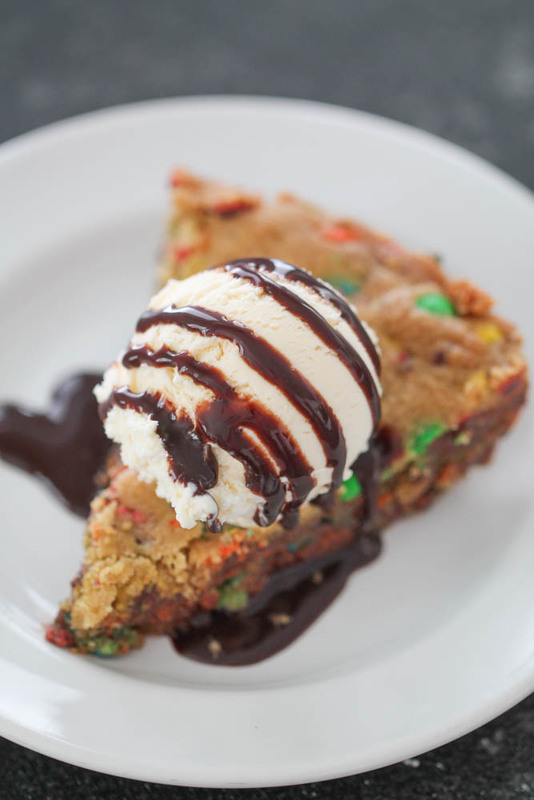 This Easy M&M Cookie Pie is a giant, chewy cookie that is filled with delicious chocolate candy and goes perfectly with a scoop of ice cream and chocolate syrup on top! I’ve never met a cookie I didn’t like. 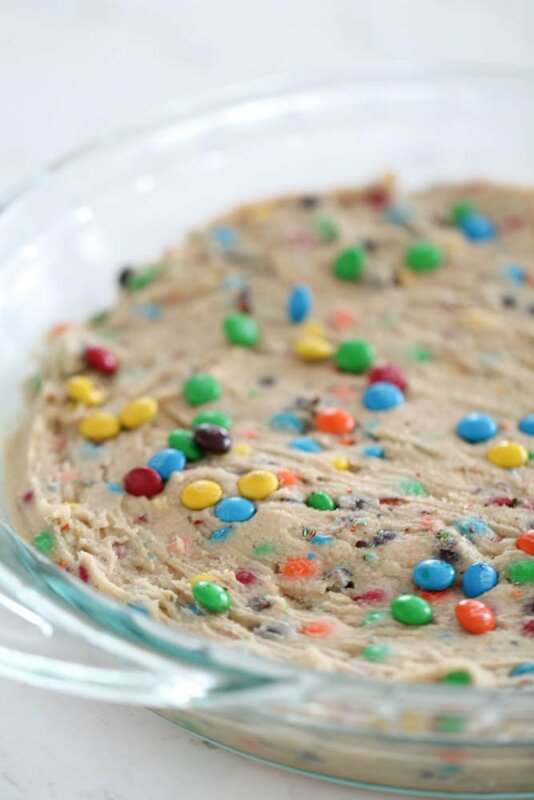 I love cookies of all flavors, shapes and sizes so this M&M Cookie Pie is definitely a recipe I could get behind! 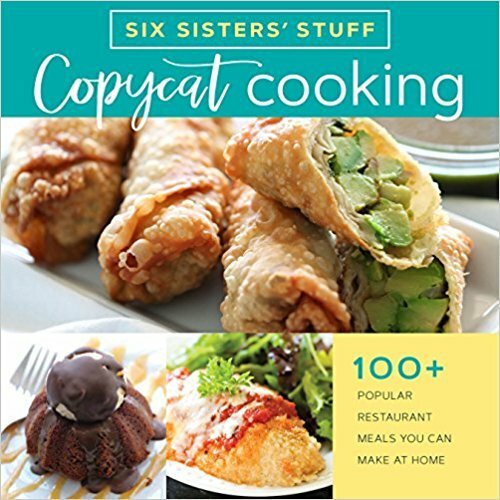 My husband and I would make this recipe all the time when we were newlyweds. 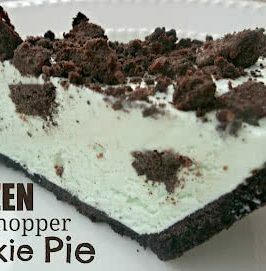 We loved to pull it right out of the oven, put some vanilla ice cream right on top and eat it right out of the pan. We also both gained a lot of weight after we were married, and I think I just figured out why. Haha! 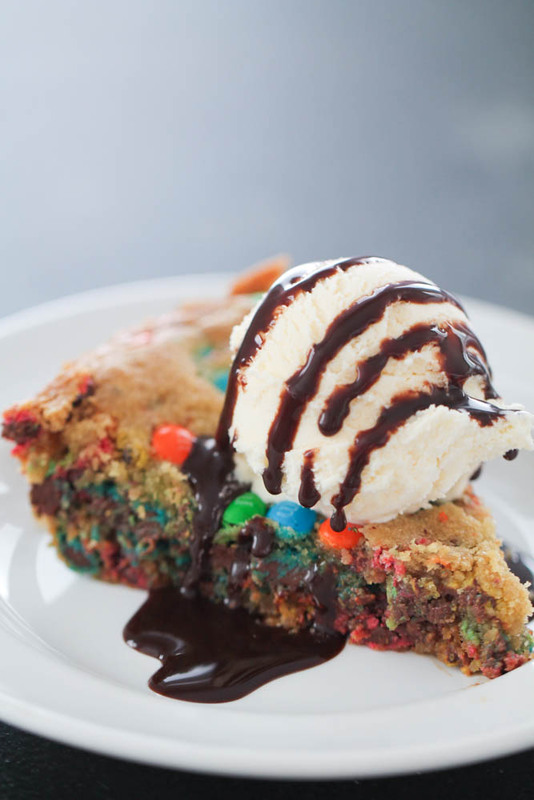 But if any dessert is worth the calories for me, it is this Easy M&M Cookie Pie. 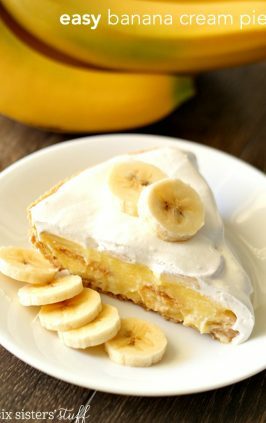 It is thick, buttery, chewy, sweet and SO delicious! 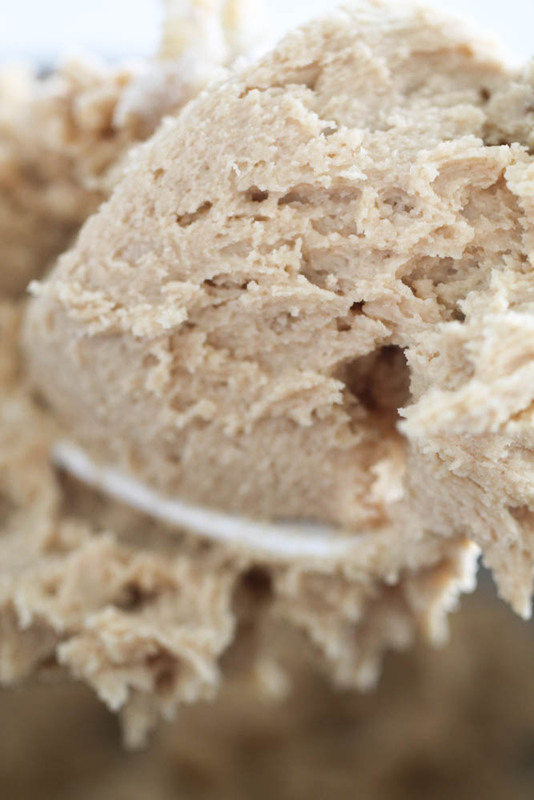 This recipe is so simple to make and requires less ingredients that traditional cookies. Plus, it can be made in one dish which makes for quick and easy clean up. Step 1. 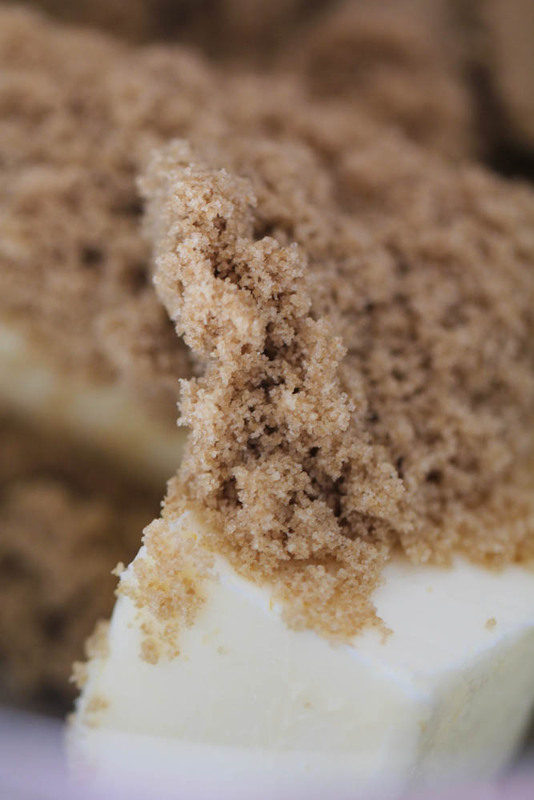 Use a stand mixer, or a large mixing bowl with a hand mixer, and cream together brown sugar and butter. Step 2. Add egg and vanilla and mix until combined. 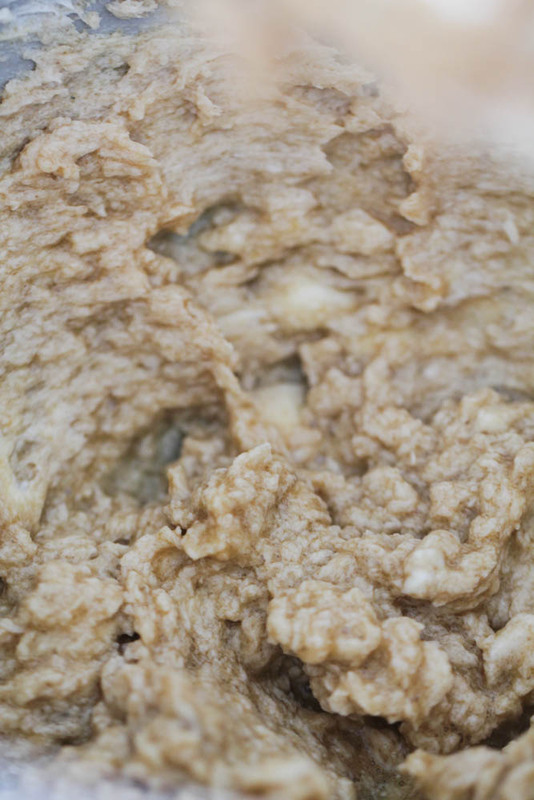 It’s ok if it isn’t perfectly smooth, the dough will come together as you add dry ingredients. Step 3. Add flour and baking soda and mix until fully incorporated. You want your dough to be light and fluffy. Step 4. 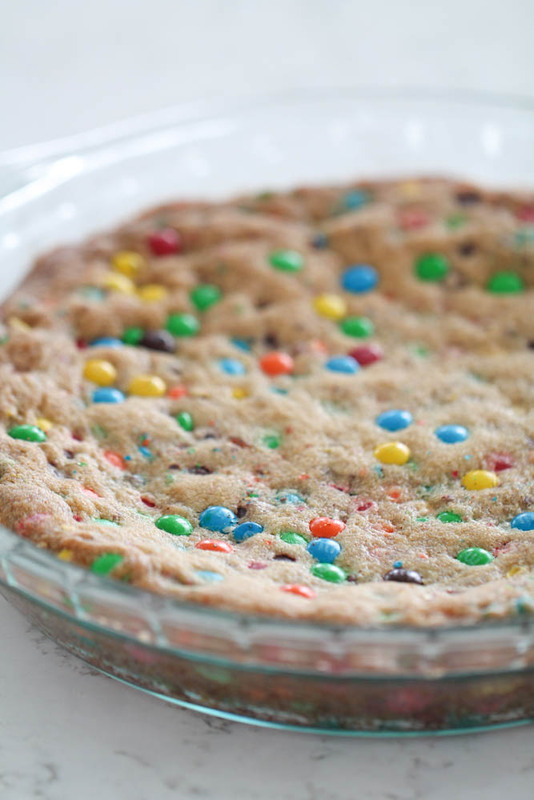 Fold in M&Ms then press into a 9-inch pie pan that has been sprayed with nonstick cooking spray. Step 5. Bake at 325 degrees F fro 25-30 minutes, or until an inserted toothpick comes out clean. Step 6. 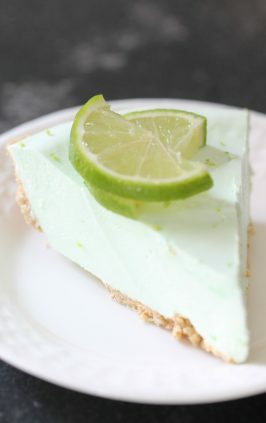 Let cool then cut into slices and serve. If you can’t wait for your M&M Cookie Pie to cool down, you can dig in while it’s still warm but it slices better after it has had time to cool. 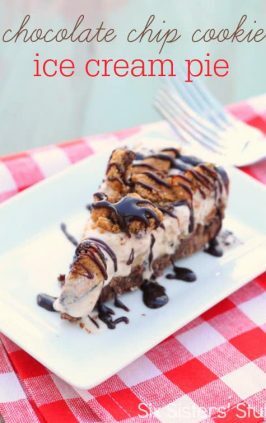 We love to put a scoop of vanilla ice cream on top of a slice of this cookie pie and drizzle a little chocolate syrup on top, but that is totally optional. 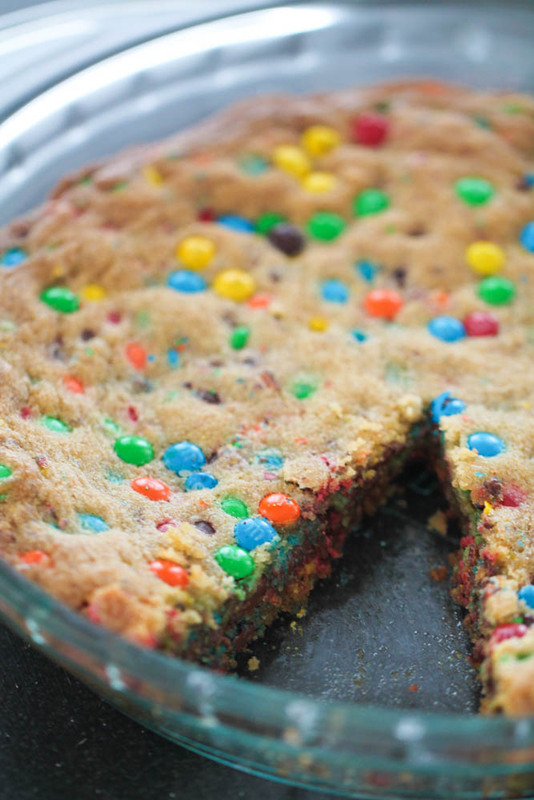 A thick and chewy M&M cookie in the form of a pie! In a large mixing bowl, cream together butter and brown sugar. Add in egg and vanilla and mix well. Add flour and baking soda and mix until completely incorporated. Spread batter into a 9-inch pie pan sprayed with nonstick cooking spray. Bake for 25-30 minutes, or until a toothpick comes out clean. Let cool and cut into slices. 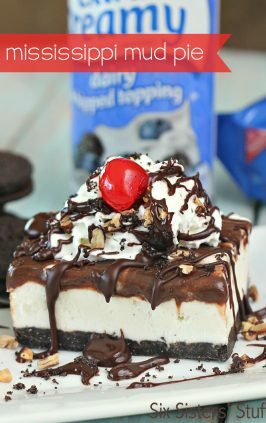 Top with a scoop of ice cream and drizzle of chocolate syrup. so so yummy! I need all these ideas for what to cook using left over halloween candy! I love the look of your website. I am also trying the crock pot sausage egg recipe. I'll give feedback on this tomorrow! Again, love your layout! That looks soooooo good. Seriously trying not to drool.